When I was a little girl and growing up in New Jersey, I never really paid attention to how gas was pumped. New Jersey is one of few states where it is (still) illegal to pump your own gasoline. I always thought it was nice that my mom and dad didn't have to get out an do it themselves, and my husband loves not having to pump his own gas when we go to NJ to visit family. Not pumping our own gas actually keeps everyone safe at the pump, though gas prices do tend to be a bit higher. We teach our kids about safe driving, and do a lot of research to find them the safest, most reliable cars to ride in, but do we ever stop and take the time to explain the dangers that lurk at the gas pump? Sure, we have to worry about credit/debit card fraud these days, as well as worrying about personal safety, but what about those other unspoken dangers? It's important to talk to your kids about the dangers at the gas pump. Every teen driver needs to know how to stay safe at the pump, and kids who might get out of the car and stand next to an adult at the gas pump need to know, too. Gasoline vapors are the real danger at the pump- not the actual liquid form of gasoline (which is highly flammable). Things like hot surfaces, static, or a smoldering object can ignite gasoline in mere seconds. Taking very precaution at the pump to keep everyone safe (yourself and those around you) is of utmost importance. It might seem unimportant and redundant, but take the time to check out the safety signs at the pump. If you have a fairly new driver with you, point them out to them, so they know what to look for and what's considered dangerous. Lighting up at the pump is a bad idea. In fact, every gas staion clearly hangs no smoking signs at the gas pumps. It's not because it's a bother to others or a health risk- it's because of the ignition danger. If you or your teen finds themselves near a smoker at the pump, finish up immediately, and get away from there. This is a given, but make sure your teen knows never to leave the car running whiel fueling. Also, they shouldn't begin fueling and re-enter their car before fueling is finished. You might also notice No Cell Phone signs near the gas pumps. Tell your teens to leave their phones in the car while fueling. 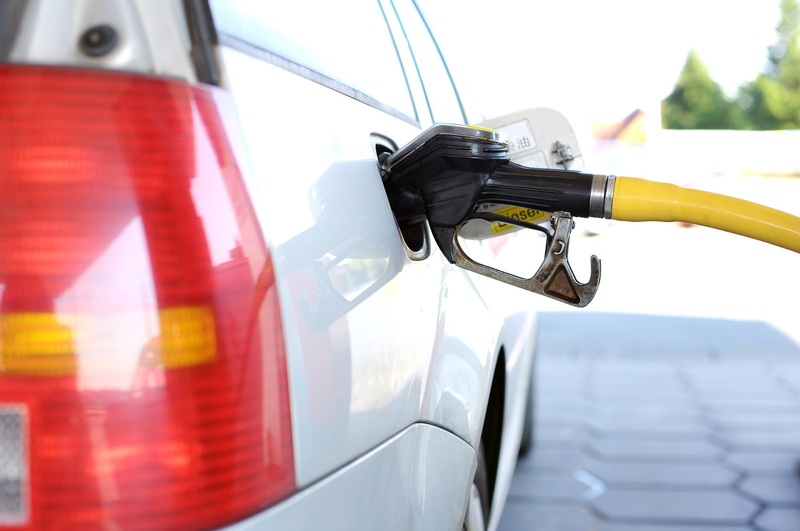 They've probably seen you do it- everyone wants to get to that even dollar mark when they're fueling, but topping off can lead to overfueling and gasoline spills. Most gasoline stations have warning signs against topping off at the pump. Cars need gasoline to run properly, and you want your kids to be safe at all times when driving and caring for their cars. Talking to them about the dangers at the pump just might save a life. Brought to you by Coachella Valley Volkswagon.